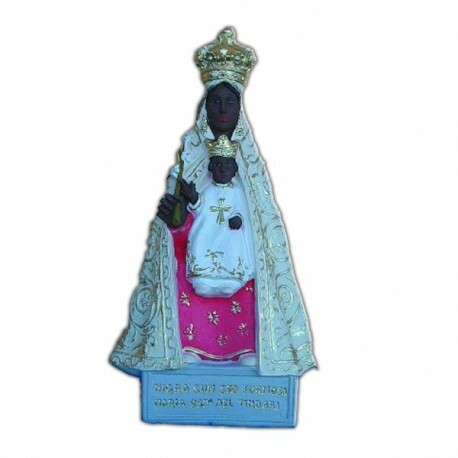 Statue of the Virgin of Tindari 18 cm. The shrine of the black Virgin of Tindari, in Messina, hails from 800, when it was built after the distruction of the city by the Arabs. 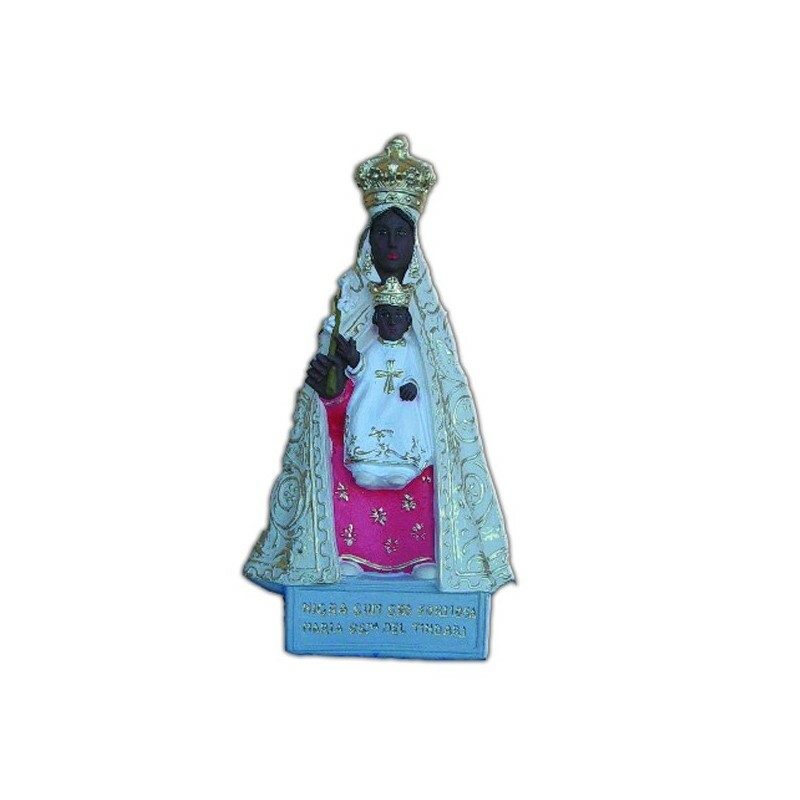 There it was ket the beautiful wooden statue of the black Virgin with her Baby. In 1544 the shrine was destroyed and it was rebuilt between 1552 and 1598. In 1979 it was enlarged with the building of a bigger Church. She is commemorated on the 7 and 8 of September. The Virgin is illustrated with a white mantle, a red clothing and the Baby wears a white clothing too. They both have a crown on their heads and the black skin. The original statue is in shrine and it has been recently restored .